Unlock Sony Ericsson Xperia Mini ST15 - Safe IMEI Unlocking Codes for You! 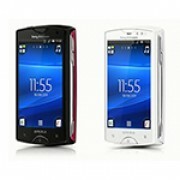 Unlock Sony Xperia Mini ST15 Handset! In case your Xperia Mini ST15 doesn't ask for the code and there is no designated field to enter it, please DON'T PLACE ANY ORDER, contact us first for support. If you are looking to get your Xperia Mini unlocked, SafeUnlockCode can help you to ensure that not only you get your phone unlocked, but you also get it unlocked fast, safely, and at a price unbeatable by the average mobile operator’s price. After following the guidelines, our services are also 100% guaranteed to work! And you won’t need any tech knowledge to get unlocked. After you are unlocked, you’ll be able to use the Xperia J on any GSM network in the world, allowing you to find a deal that’s best suited for you. You’ll have access to O2, Vodafone, Orange, AT&T, Sprint and many more depending on your location. We also have dozens of guides on how to unlock other phones, so check those out if you don’t need to unlock the Xperia Mini. It’s important you follow these guidelines so we can provide you with the right unlock code. 2. IMEI - The IMEI is a unique code that will be needed in the unlock process. To get the IMEI, dial *#06# or look for it on a sticker underneath your phone’s battery. Make sure to enter details correctly. We cannot refund anybody for wrongly typed in details. We support costs for every IMEI unlock attempt, so please make sure to double check your entered information. Lastly before proceeding to checkout, we’ll need to make sure your Xperia Mini isn’t hardlocked. Being hardlocked is an unfortunate state your phone can get in for failing too many unlock attempts. Once hardlocked, we cannot help you unlock your phone. - Enter a SIM that differs to the network you are locked to. - Power on your Xperia Mini and wait for the phone to boot up. The first number alongside network is the number you will need to pay attention to. If this number is 0, you have run out of unlock attempts and you are hardlocked. If your Xperia Mini is hardlocked, we cannot unlock your phone so please don’t submit an order. How to Unlock Sony Xperia Mini ST15 Phone - Tutorial! After doing all of the above - just follow these easy step to get unlocked. Once this has done, proceed to check pricing and availability and then move on to making a payment. Once the payment has been made and the order is processed, you will receive an email with the unlock code. - Enter a new SIM (different to the network you said you were locked to) and turn on your Xperia Mini. - Turn on the handset and then enter the unlock code when it prompts you to enter it. If you are having problems finding the unlock page, you can contact us for help. can you assist anytime in case i encountered problem during the process? Can you help me with my Xperia Mini from Austria Vodafone?